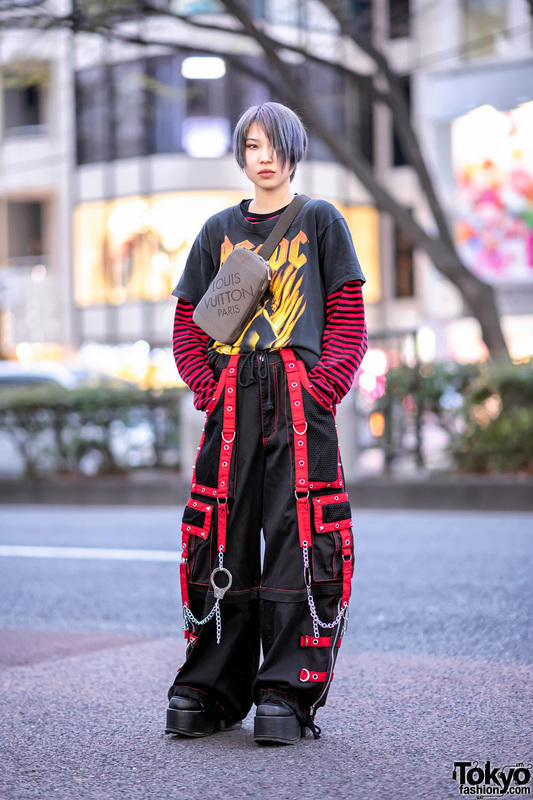 Reina is a 22-year-old part-timer whose blonde-and-yellow pixie cut hair and ensemble easily caught our attention on the Harajuku street. Today, Reina is dressed in a white-and-yellow knit dress from Zara, worn over a floral print dress from Uniqlo. 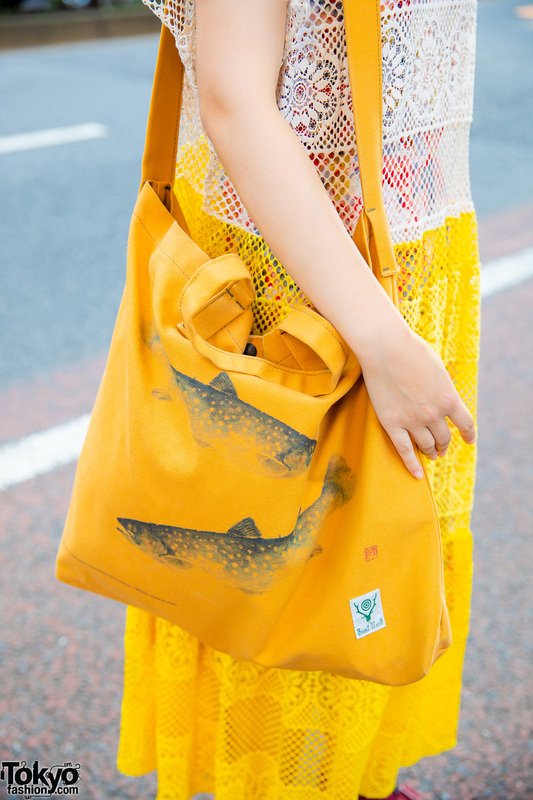 She slipped into red cutout sandals from Freak’s Store, and is carrying a yellow tote bag with fish print from South2 West8. A pair of yellow gemstone earrings rounded out her minimalist outfit. Reina mentioned that she loves to shop for chic finds on Beams.